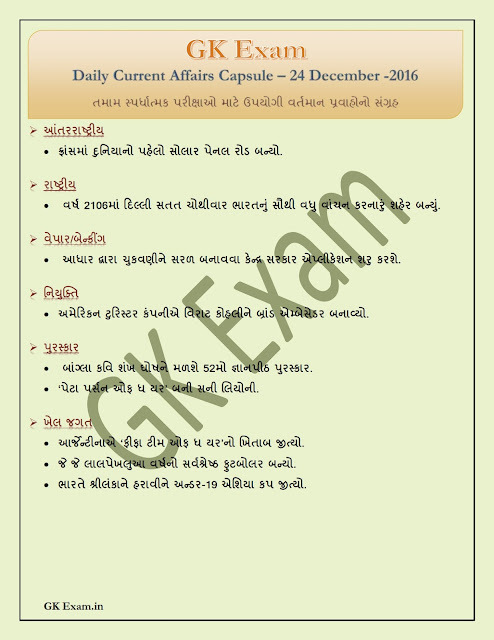 Today's Current Affairs (In Gujarati) for all competitive exams : Date - 24 December - 2016 by GK Exam. Welcome to Today's Current Affairs, your source for latest and Best Current Affairs for preparation of every competitive exams. The current affairs section of the GK Exam.in is a platform that provides valuable and relevant content for online education to aspirants of different competitive exams.